Geotourist is hosting the audio tour developed for the Sydney Architecture Festival, the annual event organized by the NSW Architects Registration Board. 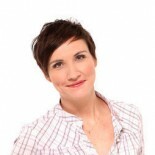 Fenella Kernebone, celebrated TV presenter and Head of Curation for TedxSydney, narrates the stories of the finest examples of Brutalism, built between 1962 and 1985. 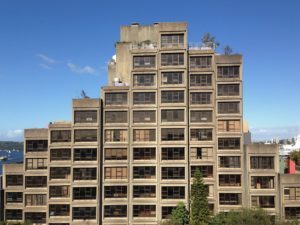 The tour covers 50 sites, including Sirius Apartments in Sydney, buildings in University of Sydney and NSW campuses, civic and residential buildings in Parramatta, Sutherland and as far as Penrith. The tour builds appreciation of brutalism and raises awareness of buildings that face an uncertain future, and worse, demolition.